Even though the launch of Nokia X5 was postponed, HMD Global did hold another event a day before. On 10th July, JD.com and Nokia Mobile organized a Nokia Brand Festival in China. The same day, the polar white variant of Nokia X6 had its first flash sale. 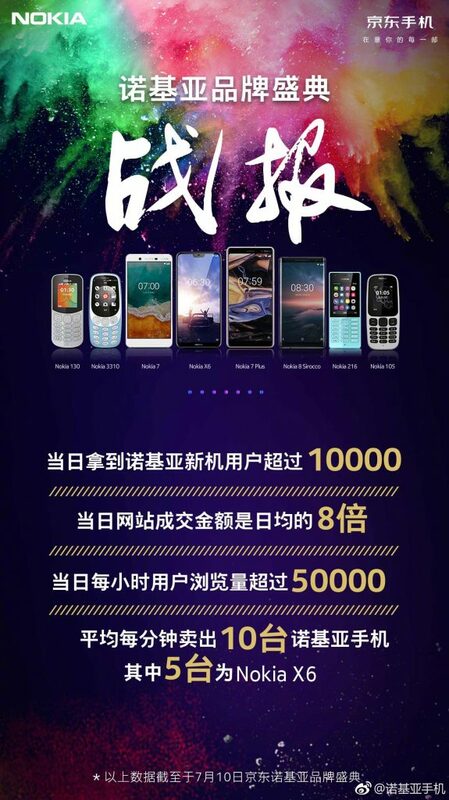 On their official Weibo account, Nokia Mobile stated that, during the Nokia Brand Festival, Nokia product page at JD.com had around 50,000 visitors, with 10,000 ending in purchase. An average of 10 phones per minute were sold, with Nokia X6 taking 5 out of every 10 Nokia models sold. 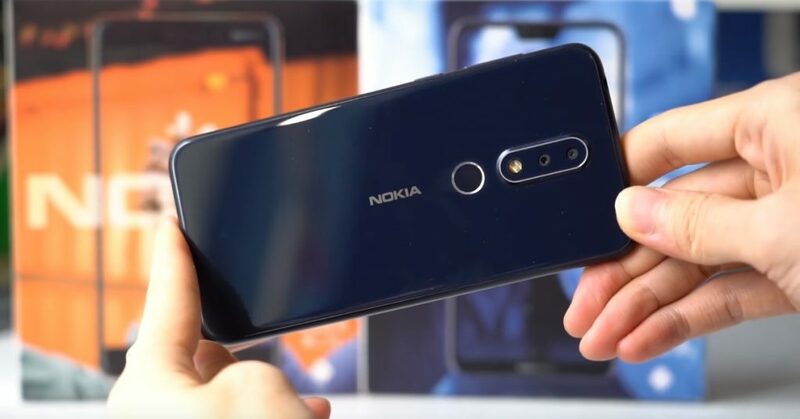 The results could be even better if HMD managed to keep Nokia X6 in stock, which they don’t and sell the device in flash sales. The high Nokia X6 share doesn’t really come as a surprise considering the specs Nokia X6 packs and at what price is the device offered in China. The Nokia X6 comes with a 5.8-inch FullHD+ display, Snapdragon 636, 4 or 6GB of RAM, coupled with 32 or 64GB of storage, a 16M+5MP (Black/white) dual camera setup on the back, 16MP front camera, 3060mAh battery and Android 8.1 out of the box. The price of the 4GB/32GB variant is just 1,299CNY or 172 euros. Officially, we don’t know when will Nokia X5 announcement be held in China or when/if it will be available outside China. The same applies to the global version of Nokia X6, that is rumored to be called Nokia 6.1 Plus for the global market.